Randos des Dunes Essaouira works in collaboration with four "chameliers" with about 10 camels (see photo above). 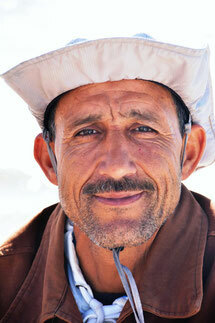 They offer trips on camel and horseback from one hour to one-day, and bivouacs. 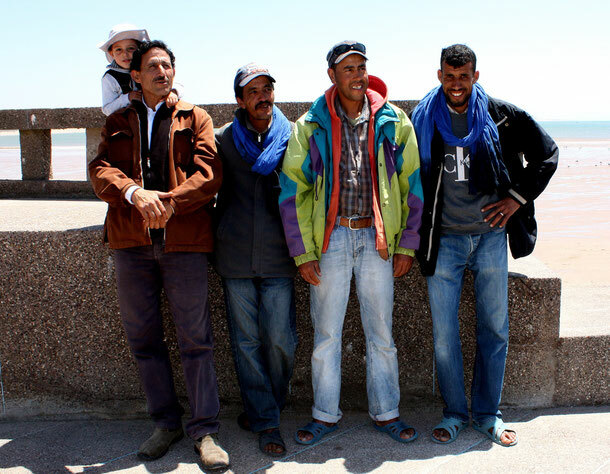 Abdelaziz Ferriche (photo on the right) ist the "patron" and organizer of the excusions. 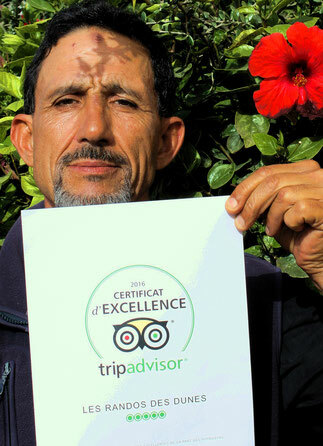 This summer, the Randos des Dunes Essaouira have been awarded by Tripadvisor with a Certificate of Excellence for the quality of their offers. Abdelaziz ("Aziz", photo) is very proud of this honour.